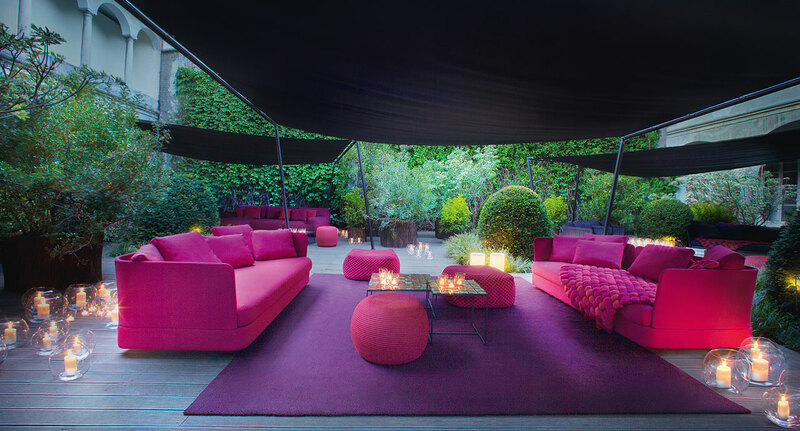 Since 1994, Paola Lenti doesn’t cease developping its activity, still following its coherent and dynamic entrepreneurial way, enabling the company Paola Lenti turning into an authentic reference in the world of design. Turning the pages of a Paola Lenti catalogue is like discovering balanced and essential new design landscapes where opposites become complementary: past and present, interior and exterior, tradition and technology. In this approach one can find a serene coexistence of seemingly diverse influences: where metal and wood structures are designed to be durable; where modern and comfortable interiors seating live side by side with the newest solutions for exteriors; where elegant hand-crocheted floral rugs are created with high-tech yarns. Each Paola Lenti‘s design attributes its originality to the selection and creation of the material and to the simplicity of its forms. The pieces are created to be timeless in terms of quality, functionality, colour and aesthetics.